Anne-Marie Curtis started out strong when she first took the helm of British ELLE in 2017, launching a series of bold and ultra-modern Cara Delevingne covers to usher in ELLE‘s new age. However, it wasn’t long before mediocrity set in (remember those reprints of Margot Robbie?) and now Curtis is set to depart from the magazine next month. For one of her final issues, Curtis enlists Jodie Comer for the May 2019 cover, marking the actress’ first major outing on a fashion glossy. Comer sits pretty in the minimal newsstand cover image, shot by photographer Mariana Maltoni and styled by Jenny Kennedy in a look from Prada’s Spring 2019 collection. Was the cover enough to entice our forum members to make a purchase? Apparently not. “Nice chair, I suppose! I don’t understand how Anne-Marie is so passionate about vintage ELLE, yet that never manifests on her covers. The 80s, above all else, are known for really fine-tuned magazine covers. Lots of vibrant energy, color, design,” remarked Benn98. 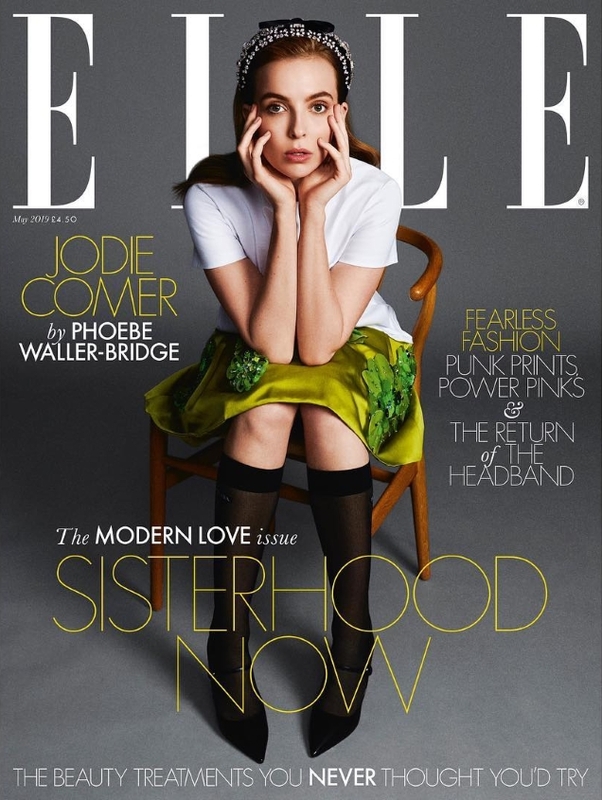 “I admit that I had no idea who Jodie Comer was until this cover came about. I did love that Prada collection, so I don’t totally loathe the newsstand cover but ELLE definitely could’ve done better with Jodie. Another passable issue of ELLE!” vogue28 chimed in. “A naughty girl who has to sit in the corner and think about the bad things she’s done,” tigerrouge said, criticizing the setup of the cover shot. Not everyone was quick to call out the team, however. “Reminds me of ELLE‘s pre-2010s era where feminine visuals were very strong,” phungnam96 said. “I love that they tied in this shoot with her character in Killing Eve,” wrote kokobombon, after checking out the accompanying cover feature. Check out the editorial for yourself and join the conversation here.